The Frozen Regions are a unique place. 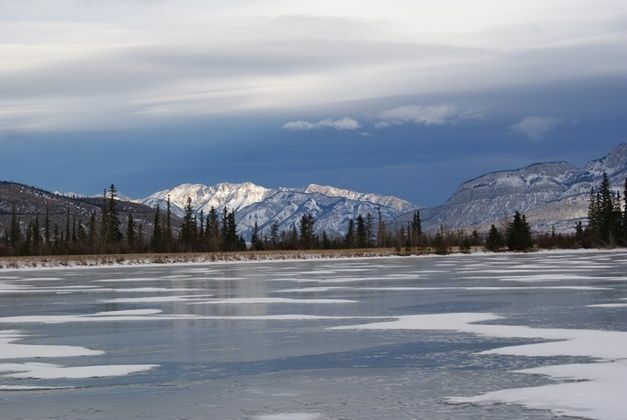 Despite its fragile appearance, this frozen lake is able to hold the wait of a grown man, and is known to rarely (if ever) either melt or break. It also stretches out extremely far, quite surprisingly so actually. Like the Plains Region, there is no shelter here, unless you decide to slide around on the ice until you make it into either the woods or any nearby mountains. Prey is rarely spotted here, if you're able to find something, you just might be the luckiest around.